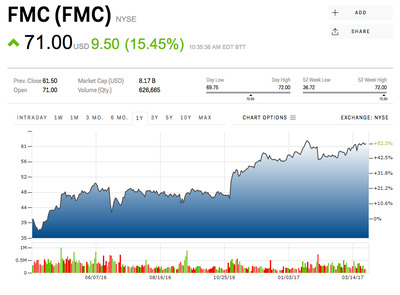 Shares of diversified chemical company FMC Corporation are rocketing more than 15% higher today after the company announced that it will exchange its health and nutrition unit and $US1.2 billion in cash for a large chunk of DuPont’s crop protection operations. 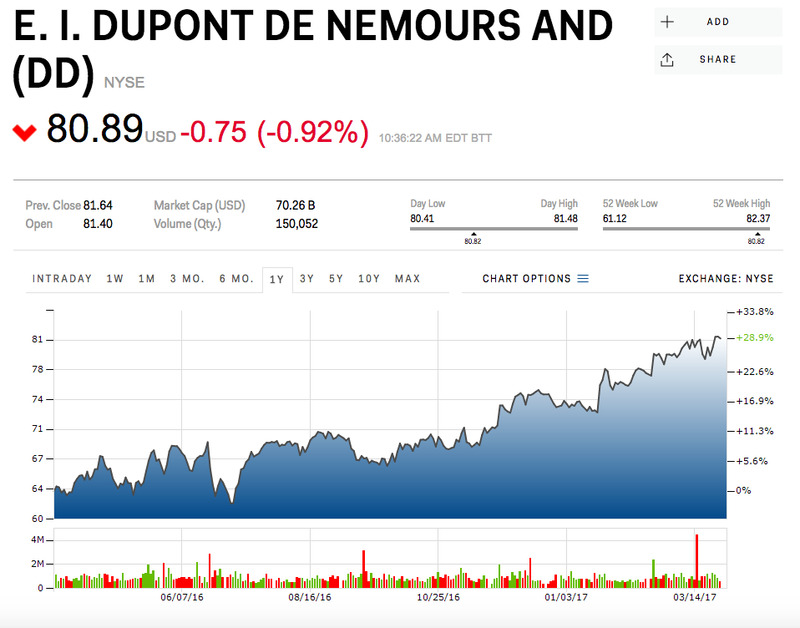 DuPont is being forced by the European Commission to sell off various parts of their business to meet the anti-trust requirements of their merger with DOW Chemical. This deal will make FMC the fifth largest crop protector in the world by revenue. Many of the chemicals that FMC is acquiring are proprietary to DuPont and will give FMC exclusive access to various agricultural markets. The deal included DuPont’s crop protection R&D lab in Delaware and the 15 synthetic proprietary chemicals that Dupont is currently working on there. DuPont shares are down 1% on the news. 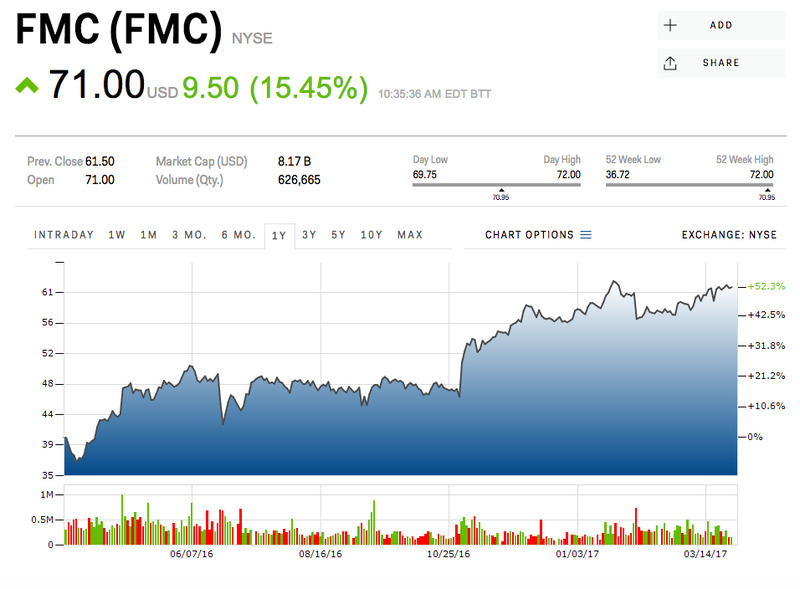 Click here for a real-time FMC chart. Click here for a real-time DuPont chart.